Located on the second floor, across the lobby from the Union administration office, services desk personnel are always happy to answer questions and help you find anything you need on campus. The services desk also offers a variety of additional services which are listed below. For additional information, you can contact the Services Desk at (801) 581-5888. 2018-2019 season prices listed below, tickets available early mid-to-late December through March each year. 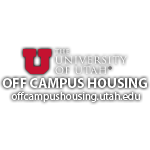 *Canyons and Park City passes (owned by Vail) will not be sold at the University this year. The services desk opens and closes with the building. View our building map and hours page for detailed building hours.